Rush fans have been awaiting the next musical move from members of the Canadian trio since guitarist Alex Lifeson said the group were "basically done" at the top of this year. Now, it's been revealed that Lifeson has found himself a collaborator in drum virtuoso Marco Minnemann. 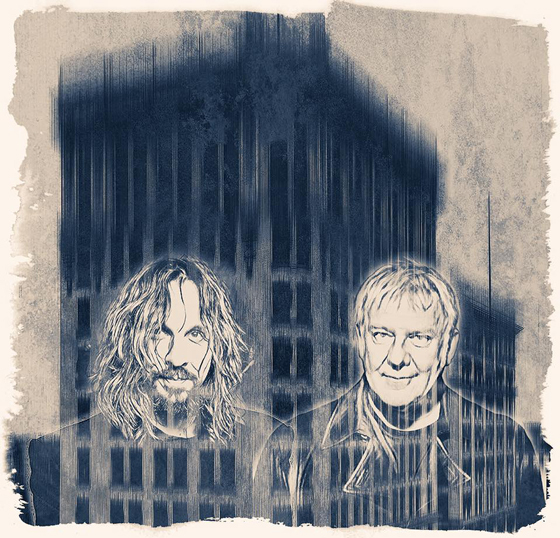 The drummer revealed plans for a collaborative release on Facebook, sharing an illustration of Lifeson and himself done by Tom Colbie. He told followers that more details on the effort will follow soon. Last year, Lifeson appeared on Minnemann's full-length Borrego. It was also rumoured that Lifeson and bandmate Geddy Lee would continue to work together on a new project. This year, Lifeson also appeared on Fu Manchu's Clone of the Universe. While Rush don't have any new material on the horizon, they'll be reissuing their 1978 LP Hemispheres later this month.